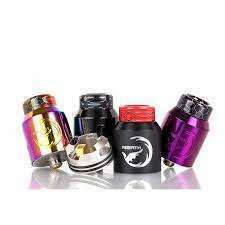 The Hellvape Rebirth RDA will bring a wonderful vaping experience with great taste. Together with a gold plated squonk pin, the Rebirth RDA also can be used with Squonk MODs. Plus the top cap locking system with adjustable airflow, 6mm deep e-juice well and 810 drip tip, the Hellvape Rebirth RDA is definitely a great flavor-chasing RDA. 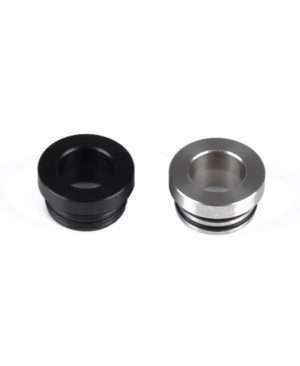 The 810 to 510 Drip Tip Adapter is made of high-quality material that helps you to change the drip tip from 810 to 510. You can easily use it on any 810 atomizers at random. Get it for your easy . 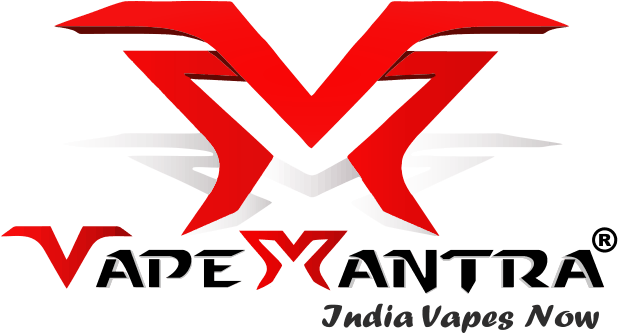 Vapemantra is well-known Brand in India for vaping gears. We are exclusively Authorised Disro/Vendor of VGOD, BLVK UNICORN, RUTHLESS Companies in India. We offer the most attractive and powerful internationally branded Vaporizers in India. Quality products mean more vapors and ultimately more chances to quit smoking. 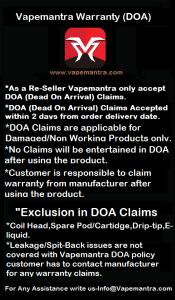 VapeMantra is the registered proprietor of the trade mark "VapeMantra". This site is protected by copyright and trade mark laws Copyright ©2016-2019 VapeMantra All Rights Reserved.